We regularly hear (and say) buzzwords like big data, AI, Internet of Things (IoT)—but the modern day individual might not realize just how much data they use and collect every day. Think about how many apps you use for to-do lists and messaging programs, your daily exchange of videos and pictures, or all of your work and personal devices. The main result of the evolution of personal cloud usage is that 2.7 billion people walk around with devices in their pockets where they can quickly access: conversations threads from five years ago, thousands of high-res pictures, work databases, or see the person ringing their doorbell. In our recent cloud migration survey of enterprise professionals across multiple industries, we found that nearly 50 percent of companies have already migrated to the cloud, with 45 percent currently undergoing a migration. As only 5.6 percent are actively planning an enterprise-level migration, we can surmise that cloud storage itself is now the industry standard. So mid-market companies are instead shifting focus to utilizing cloud services for their next generation of applications. I.e., now that we’re all on the cloud, what else can it do for us? Amazon Web Services (AWS) serves as a leading example of a company that has re-built and expanded upon the storage industry as we used to know it. AWS users can access block (EBS), File (S3), Deep Archive/HSM (Glacier), Edge (CloudFront), and hyper-scalable file system storage (EFS) from a single provider, that continues to layer in advanced utilities such as backup and recovery, migration, and disaster recovery through a combination of recent product announcements and acquisitions. Compared to traditional on-site file storage, the cost differential is significant. However, with the lower price tag of AWS, there is a barrier to entry, as it requires developer savvy to run your storage infrastructure as code, coherently with the application and general services stack for users. 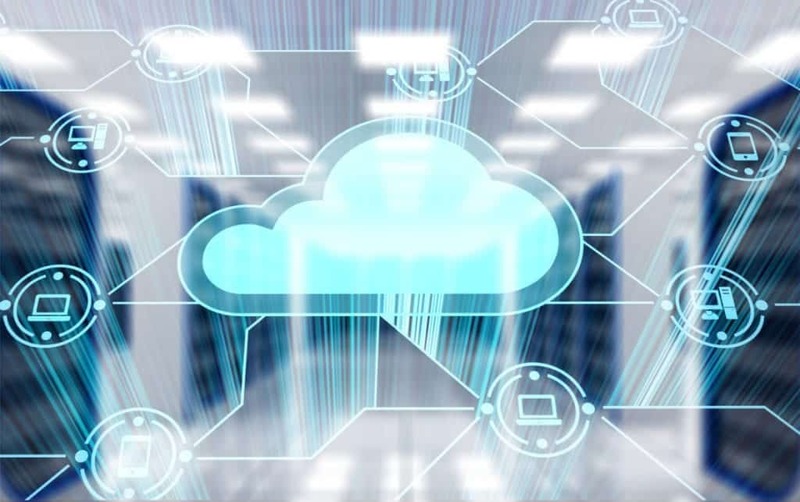 The tech industry loves to reinvent the same thing and call it new; however, in the world of data storage, there has been exciting cloud innovations to break from on-premises solutions. The evolution of large databases to data warehousing to big data, led to a major fork in the road with hyper-scalable data services started appearing, along with extremely powerful query engines and new data structures. Companies can now create data lakes—digital DMZs to pool massive amounts of data, coupled with a mix of query/search/analytics tools and machine learning. This breakthrough warps the traditional concepts of structured and unstructured data into a brand new field of hyperscale data with machine driven intelligence and relevant outputs. The ‘garbage in = garbage out’ theory of mainframe computing still adheres—whereas the outputs are only as clever as the inputs from your data scientists. We have reached the age of remote work—70 percent of employees work remotely at least once per week, and 53 percent work remotely for more than half of the week, according to an IWG global study. The remote workforce is due to such trends as Bring Your Own Device (BYOD), Desktop-as-a-Service (DaaS), and the rise of the gig economy. With the availability of hybrid-cloud-deployment to meet the needs of any organization, physical workspaces easily transform into digital. The shift to remote workspaces not only equates increased productivity (scientifically proven), but employers have access to a more diverse talent pool and can save on overhead costs of traditional office spaces. Not to mention, the workers themselves experience better employment opportunities and work-life balance. With the ever-increasing amount of data in our lives, cloud technologies continue to evolve and adapt to meet the growing needs of consumers, corporations, workers, and employers. In the past decade, we’ve seen a complete overhaul of personal data (via the device-accessed cloud), the rise of the remote workforce, and the transformation of enterprise data structures. Moreover, this is just the start; hybrid-cloud solutions will continue to scale to encompass the massive global datasphere. Author: John Merryman is the managing director of Glasshouse.io, a technology company based in Australia that focuses on Cloud and workspace lifecycle management and helps customers embrace new technologies and operating models for enterprise compute and workspace services. Merryman has more than 20 years of experience leading technical services and product teams in both the United States and Australia. He has led teams and programs for cloud consulting, software development and more, and has delivered consulting engagements across a range of mobile, data center, cloud, voice technology, and mobile/AI/ML domains.